Courtesy of the Donovan we hear that we have lost a good man. 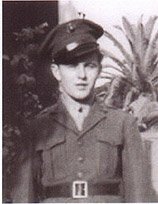 PFC Ray Jacobs, who helped raise the flag on Iwo Jima died today. He moves on to a better place, one of glory. Now is the time at Castle Argghhh! when we dance, In Memoriam. Well we have another dance we do here and it has to do with something similar to what PFC Jacobs was doing on Iwo, killing bad guys. Today we also learn that a murderous dog took a rocket sled to hell, as an al Qaeda "mastermind" and a dozen or so other deserving souls were mertilized in Waziristan. That's right we are now in the business of confirming we will whack bad guys inside Pakistan. This could have been done with drones only, but we have been increasing our cross-border ops and capabilities so it wouldn't surprise me if some fellas were sitting on a hill somewhere waiting to see if al-Libi was dumb enough to come by. Yep, he was. 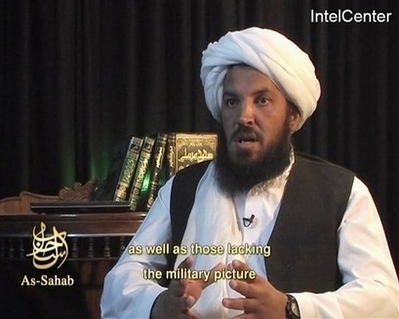 "ISLAMABAD, Pakistan - One of al-Qaida's top figures, Abu Laith al-Libi, has been killed in Pakistan, an Islamist Web site announced Thursday. Pakistani officials and residents said a dozen people, including seven Arabs, died in a missile strike in northwestern Pakistan near the Afghan border." That counts as excellent news and so we will have the dead tangos dance, which doesn't yet have a theme song. An approach team, on the right, from HMCS Charlottetown pulls alongside the fishing dhow Al Rahman in the Persian Gulf off the coast of Pakistan. The dhow’s captain told the Canadian's Arabic interpreter that he had just run out of gas. He would have had enough fuel to return to his home port if he had not shared his supply with another dhow he found in distress a few days before. In compliance with the Safety Of Life At Sea Convention, HMCS Charlottetown topped up the dhow’s tanks to ensure it would make port safely. As members of the maritime community, Canada’s sailors are always ready to provide life-saving assistance to fellow mariners on the high seas. HMCS Charlottetown is deployed for six months in the Persian Gulf-Arabian Sea region on Operation ALTAIR, Canada’s maritime contribution to the U.S.-led campaign against terrorism known as Operation Enduring Freedom. 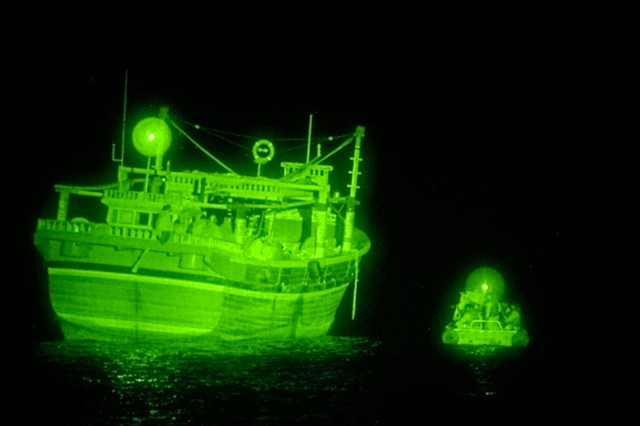 The frigate was conducting a maritime security patrol when the distress message was received. Date Taken: January 24th, 2008. Location: Northern Arabian Sea, PK. Photographer: Canadian Forces Cpl Robert LeBlanc, National Defence Canada. BAGHDAD, Iraq – Usually, Soldiers possess better moods on payday. One non-commissioned officer uses payday to help motivate Soldiers. Sgt. Tyson Regier enjoyed giving his Soldiers’ spirits a lift by reminding them to check their bank accounts. One payday turned to be a very bad day; almost costing Rieger and his team their lives. 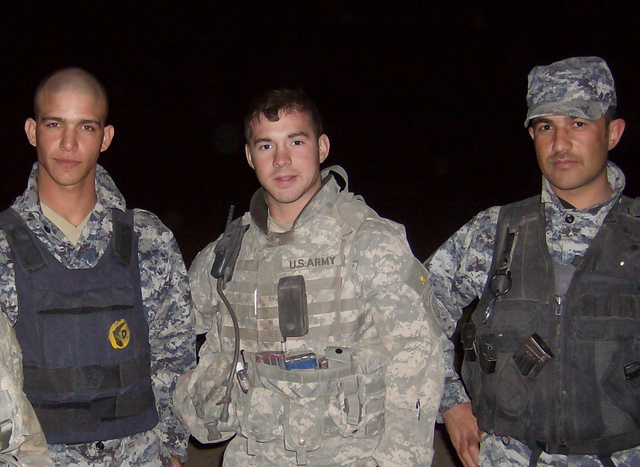 Regier, 22, a scout with BTroop, 2nd Battalion, 325th Airborne Infantry Regiment, 2nd BCT, 8nd Airborne Division, was conducting a joint patrol with the Iraqi National Police in Baghdad’s Sadr City area on the ides of June in 2007. Regier was acting as the truck commander of the last humvee in the convoy. The rest of his crew consisted of Spc. Ryan Aberle in the turret, Pfc. Sergio Chavez driving, and Pfc. Michael Beaumont in the rear passenger seat. As they began cruising the Baghdad streets, Regier didn’t detect anything out of the ordinary. “It started off as just a routine patrol,” said the Marquette, Neb. native. In an instant, that all changed. One minute he was watching people walk by on the sidewalk, and the next minute his truck was ripped apart by an explosion. “I looked back, and I could see the street behind me, because the entire back (of the vehicle) was gone,” he said. Regier’s humvee had been hit by an improvised explosive device. The blast had crumpled the vehicle, flattening the back end and setting it on fire. Many of you know SC Eagle at A Storm in Afghanistan. For those not in know, he was called home on a Red Cross when his wife discovered that she had breast cancer which had spread to her brain - she had terminal cancer. They have three children. Here is the link to the post about their discovery - My Hardest Post. ...and he told us that all of his tests had come out negative for any problems. And he believed that she really was having these problems. He showed us the MRI of her head. And then he showed us the tumors. The breast cancer has metastisized to her brain. There are tumors in her brain. Brain cancer. We drove home... numb, but with things we had to do. Friday, we went back for more tests. We had x-rays, and another MRI, this time of the spine. The news is this. There are eleven tumors in her brain. If you were to divide her brain into quadrants, then at least two of the tumors would be as large as the quadrant. There are also metastatic tumors in her lungs (again). So, we have breast cancer, lung cancer, and brain cancer. And like the neurologist told us, while the situation is not hopeless, it is extremely serious. If we do nothing at all, she likely has no more than a few months. What now... That's the question we've been facing for the last several days. We've come to the acceptance that within a year, I'll likely be a single father. By acceptance, I don't mean to imply happiness or anything like that. More like many, many tears. We have cried a lot. All of our hopes, dreams, and plans... well, those seem out the window now. Everything we do now is seen through the prism of the cancer. Wondering what we can do to preserve her for the children. Crying over how young the children are and if they'll remember her. It's been a long weekend. We're getting ready for her surgery. My unit has been extremely supportive. My 1SG is amazing, and as my Commander spelled out to me, my place of duty is my family. The rest of the chain of command, likewise. And now, we just try to go day by day. She's gone now. No more of the horrible hideous pain... for her. Rest, in peace, my love... my friend... my companion. I will always love you... and I miss you more than you know. I am so happy you hurt no more, but I am selfish for one last twinkly smile, one last laugh, one last kiss. You were a beautiful, strong, incredible woman whom I was blessed to know and share some time with. I will miss all that we left undone together, yet I look forward to what will come - one day. And now SC Eagle is asking for your help to combat breast cancer. He is going to do the annual Avon Walk for Breast Cancer. Those of you who know me know that the fight against breast cancer is a personal one for me. I am asking you to support my pal SC Eagle by donating to the Avon Walk for Breast Cancer. You can visit the blog or go straight to the Avon Walk site that SC Eagle set up as a tribute to his wife, Ellicia. You can also go here and see how to join the fight against breast cancer. Red-faced reprobate Bill Clinton has been busy with other things than reminding voters of Obama's melanin levels. Apparently he has had time to jet round the world undermining US foreign policy and his wife's political posturing in order to fatten up that legacy machine. Apparently Bill is a big player in the Uranium mining world (wonder if he's been to Niger). "Both Mr. Clinton and Mr. Giustra at first denied that any such meeting occurred. Mr. Giustra also denied ever arranging for Kazakh officials to meet with Mr. Clinton. Wednesday, after The Times told them that others said a meeting, in Mr. Clinton's home, had in fact taken place, both men acknowledged it." Really, there is a shocker. Here is an example of disrespecting the troops by VA Rep Moran, who decides since the service member didn't phrase his statement as a question he is free to ignore him. Chuck Z noted this Alex Trebek usurpation and was righteously pissed. Remember Sir Charles has a salty tongue and some new meds, so he is in fine form. Here is the vid of Moran and shockingly seated next to him is the Lummox Murtha. Get some SGT Seavy. Add in the Maverick acting like a cranky old jerk in the debate and if I see a politician today they may take one to the mouth bone. Not to forget that pundit types are scum as well Steve Sailer makes the following observation about McCain's competence. Will McCain, who finished 894th out of 899 at the Naval Academy and who lost five jets, return competence to the White House? What a jackass you are Sailer you pitiful sad little scribbler. I know Sailer not at all, he appears to write book and movie reviews. I guess never having had the stones to strap yourself into a cockpit and fly into the kind of shite that will get 5 planes blown out from under you, you still feel fine making fun of it. F**k you, you little punk. Talk about his politics all you want, but shut your festering gob when you reach warrior issues, you aren't a big enough boy to do that. Is there a way not to get pissed off about this? The other resolution more directly criticizes the presence of the center in Berkeley. The city manager was directed to send a letter to the U.S. Marine Corps saying they are “uninvited and unwelcome intruders” in the city. In addition, the city attorney has been directed to investigate whether the city’s anti-discrimination laws can be enforced at the center, based on the military’s consideration of sexual orientation in hiring. Thankfully, Move America Forward is spreading the word on this atrocity. Many thanks to them for their continued efforts to counter these oxygen thieves who are stealing the air of someone who could use it to be more productive. In the Crosshairs- Is Nancy Pelosi "Tom Cruise" Crazy? "The president's comments last night in his speech were yet again another example of the lack of reality that he brings to this discussion," Mrs. Pelosi told reporters on Capitol Hill. "For a president of the United States to come before the Congress nearly five years after this war [began] and deem it a success is just hard to understand." She has even dumber and more deranged comments that ask the question is she approaching the Cruise zone of bats**t crazy. Vets for Freedom has announced the dates for their National Heroes Tour. We will soon make an announcement about Blackfive's involvement with this excellent operation. WHO/WHAT: The Vets for Freedom National Heroes Tour (NHT) is a coast-to-coast bus tour aimed at honoring America’s heroes, men and women who risk their lives by having served—and currently serving—in the armed forces, and their families. The tour also provides an opportunity for the community to show its support and commitment to completing the job in Afghanistan and Iraq. * David Bellavia—author of House to House (a memoir about house-to-house combat in Iraq), recipient of the Silver Star, and nominee for the Medal of Honor. * Marcus Luttrell—recipient of the Navy Cross and sole survivor of a mission in which four Navy SEALS were sent into a Taliban stronghold on the Afghan-Pakistan border; Luttrell was badly injured yet managed to escape enemy capture and later author the New York Times best-selling book Lone Survivor. * Marco Martinez—recipient of the Navy Cross for heroic action on the battlefield in Iraq and author of Hard Corps, Martinez was involved in gang activity in Los Angeles and joined the Marine Corps to straighten out his life. * Steve Russell—recipient of the Bronze Star medal with Valor Device for his actions in Iraq; Lieutenant Colonel Russell led the battalion responsible for the capture of Saddam Hussein. In addition, the NHT heroes will be meeting with local heroes—veterans and their families—in each state. WHEN: March 14 – April 9. Dates and event locations will be released prior to the event. WHERE: From San Diego to Washington, DC,—and New York, NY—and points between. A rally in San Diego honoring veterans and their families will kick off the tour on March 14. After making 21 stops in several states, the tour will culminate in a major media event in Washington, DC, on April 8. There will be satellite media interviews available that morning with Iraq and Afghanistan veterans who will participate in the event. HOW: See contact info above, or go to www.vetsforfreedom.org/heroestour for more information. President McCain or President Obama? This goes out to Michelle Malkin, Hugh Hewitt, Rush Limbaugh and the rest of those who now have the peasants all pitch-forked and torched up ready to take out the Maverick. Since I am not a Republican or a conservative my advice may not mean all that much to you, but c'est la vie. Heck if Sarkozy can help the French make nice with the US, maybe a libertarian-leaning hawk can roost with true movement conservatives. I am asking all of you to chill out and quit fanning conservative hate of John McCain. You can feature reader email outraged that the shamnesty King will destroy us all, but you all have spent months stoking those fires and made sure he was damaged goods. So time to decide what's important to you, ideological purity or making sure we are not subjected to 8 years of President Obama. You can complain all you want about McCain's shortcomings, but how does he shape up against a true movement progressive. Obama's policies would be right at home here in the Mad City and unless Republicans field a candidate who can beat him, we will watch the socialism train travel around the country. I wish Mitt Romney were a more compelling candidate, he would win any interview for the job of President conducted by a competent executive search committee. But the fact is he comes across as a conservative Ken doll and the only people he inspires are insiders. I agree with him on more policies than I do with McCain, but I also believe Obama would beat him and that matters more. I have to compare the damage a naive tool like Obama could do to our foreign policy, not to mention the progressive destruction of individual rights domestically. So answer this one simple question before the next time you decide to hammer the Maverick, President McCain or President Obama? This guy could be considered "urban renewal" in what is to become the new battlefield in the ATO. It is about time if you ask me. We should have been all over this with conventional forces in the beginning and not relied upon our Afghan brothers in the beginning to get this done without us. The other thing we need to do is decide how we plan on proceeding and whether or not it is going to be like this or if we are going to act like this. 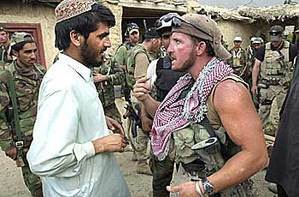 "American special forces have carried out clandestine operations in the past, and Pakistan was not informed. The Taliban and al-Qaeda also did not realize what was happening with the quick-as-a-wink hit-and-run operations in the tribal areas." This may be news to some, and I can't go into detail, but this has been happening for some time and knowing the ISI, it is probably good that we keep them in the dark as much as possible. And there are some very good reasons why this will become a new and interesting center of gravity in the Eastern Sector. US intelligence spotted bin Laden's deputy, Ayman al-Zawahiri, twice in Bajaur Agency and attacked the area with Predator drones. Zawahiri was unscathed, but several militants and civilians were killed. Local Taliban sources tell Asia Times Online that Zawahiri had been moving in the area for more than 30 hours before he was spotted and targeted. Apparently, he was to meet with bin Laden.